Melapads and Melarase AM | Top Beauty Blog in the Philippines covering Makeup Reviews, Swatches, Skincare and More! I can honestly say that I’m sometimes obsessed with taking pictures of my skin. Its not like I’m in love with myself, its just that I like to see how my skin changes with time. Over the years, I’ve noticed that my age spots are a lot more sensitive to the sun. Even if I use sunscreen, I feel like my age spots quickly darken and expand with just normal sun exposure. We all know that age spots are caused by a combination of genetics, sun exposure, the environment, and aging. When I was a teenager, I’d get a pimple here and there and be left with a dark spot that lasted for a couple of months. Ahhh . . . the glory teenage years. I wish it was still that easy. Nowadays, I feel like my skin develops blemishes and an uneven tone from just about anything. I have a combination-skin type that it somewhat oily and prone to an occasional acne breakout. Although I challenge the diagnosis all the time, my skin is edging toward melasma and skin discoloration. I try to avoid direct sun and use sunscreen, but even the slightest bit of sun exposure seems to darken my complexion and sunspots around my eyes, on my cheeks, and my upper lip. The more I speak with my friends, the more I realize that uneven skin tone is likely a part of life when you hit your twenties and beyond. It probably has to do with hormones and genetics, but we’re not here to discuss the molecular mechanisms of aging…we just want some simple skin solutions for the aging face! I’ve fallen in love with super-duper products that can solve more than one skin problem at a time. 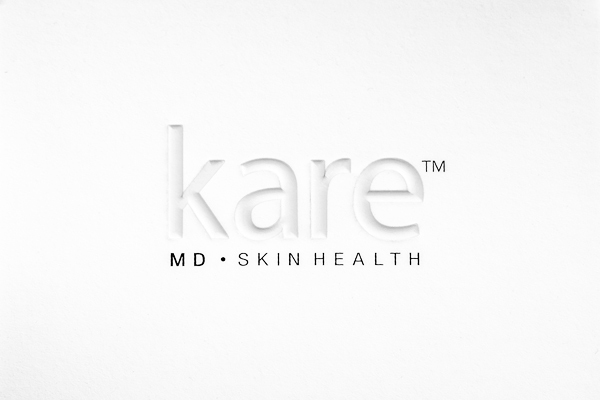 Melapads and Melarase AM, by Kare MD Skin Health do just that for me. My two major skin concerns (at the moment) are sunspots and the occasional breakout. The Melapads contain 60 daily exfoliating pads that can help reduce excess sebum in my skin and simultaneously brighten up my complexion. The active ingredients in Melapads…a combination of alpha and beta acids, coupled with an active skin lightener. 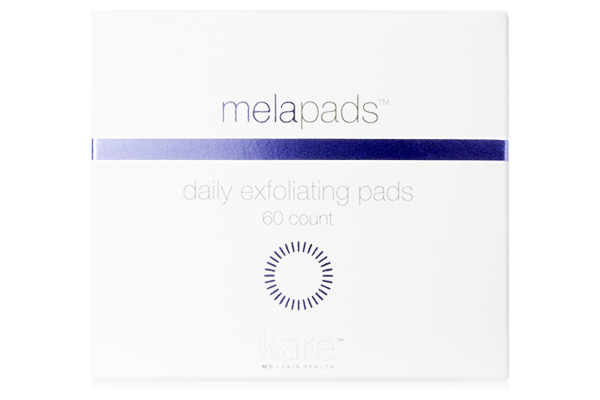 Melapads make my daily skin regimen quite easy. I wash my face in the morning, followed by a quick wipe of my skin with an exfoliating Melapad. Since I dislike my sunspots so much, I follow the exfoliating wipe with a dab of Melarase AM on my skin, which contains natural skin lighteners and four active sunblocks. Voila…I can tackle all of my skin problems in about a minute. One dermatologist I spoke to years ago summed up the importance of daily exfoliation and sunscreen for good skin health. Melapads contain alpha and beta acids that have been shown to stimulate cell renewal,smoothe the appearance of my skin, minimize pores, and make my skin look so bright and healthy. 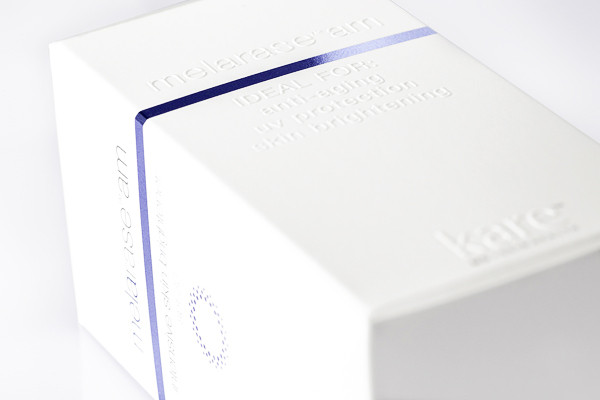 Melarase AM contains skin brighteners plus four active sunblocks to reduce UVA and UVB sun exposure. I’m always in favor of combination skin products that work and Melapadsand Melarase AM certainly fit the bill. This post is sponsored by Melarase Creams and Melarase Products for Skin Health. Thank you for supporting posts that keep Beauty Editer running! Great post. Its a really good idea to take pictures of your skin and see how its changing. WIll definitely try that out! x.
I think it's great to take photos.. Thanks for sharing.. I'm vexed by sunspots as well. Maybe I need to try these pads. Really nice post! Amazing blog! that looks like a great product! have never heard of it before so thanks for sharing! Any before and after pictures you can Show us? I cant find any reviews on this product from people who have used it. Only blog reviews and articles. Blog reviews are not very credible to me without photos, since bloggers get paid for writing good articles. Does anyone used this products? I didnt find any before and after of any customers who used this. I also suffer from hyperpighmention one that I hate is my dark hands it's darker than my face. My face is light and hands is dark..can someone please tell me.how I can fix this.